Alongside the last thoracic nerve, the trunk goes towards the lower border of the twelfth rib. It goes towards the abdomen under the arcus lumbocostalis lateralis, and then anteriorly towards the quadratus lumborum, and posterior towards the colon and the kidney. 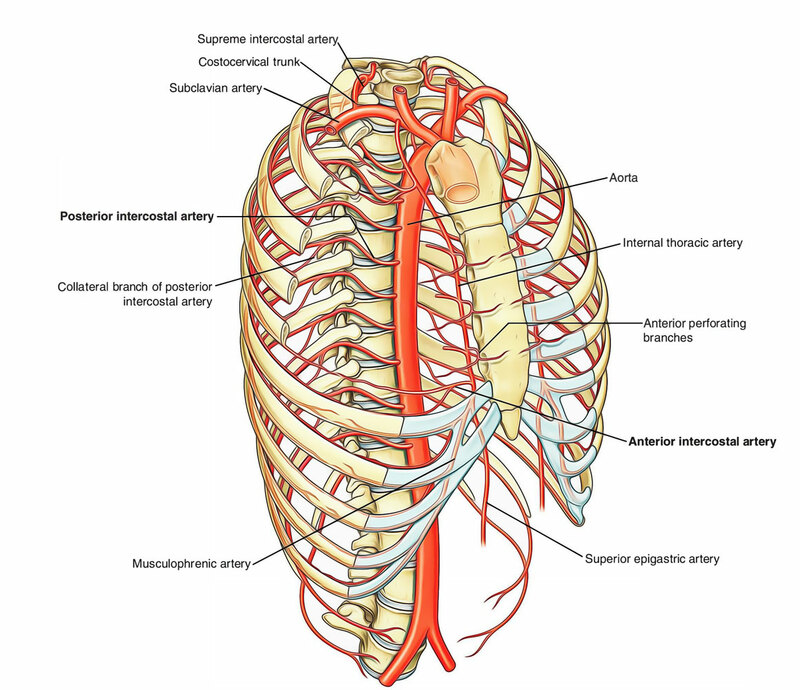 It then enters the aponeurosis of beginning of the transversus abdominis, and also goes in between the transversus and the internal oblique muscles, anastomosing along with the sections of the superior epigastric artery, with the lumbar arteries, and also along with lower intercostal arteries.